Ideally situated, Le Meridien Beach Plaza Monte Carlo has the luxury, calm and elegance that befits one of the most prestigious hotels in Monaco. The only hotel in the principality with a private beach, Le Meridien Beach Plaza also offers a well-equipped health and fitness centre with indoor swimming pool and two outdoor pools. The Sea Club, a 3000 square metre state-of-the-art conference centre overlooking the sea, can host events of up to 2000 people. Le Meridien Beach Plaza has unequalled views over the sparkling, azure Mediterranean Sea and boasts its own sun-soaked private beach. It has a freshwater indoor swimming pool, two seawater pools and a fitness centre. Its gardens are delightful as are the seaside terraces. Most of the rooms have been completely renovated, some of them having a private balcony that opens onto a sea view. The Sea Club conference centre is second to none in Monaco. Le Méridien Beach Plaza hotel has a capacity of 379 rooms, divided into 5 categories (Classical, Deluxe, Design, Executive, Rooftop). Both elegant and functional, a number of the rooms have recently undergone modernisation. Viewed as charming cocoons by interior designer Christine Tacer, they are furnished in an authentic and contemporary style and offer the latest in comfort standards: air-conditioning, mini-bar, broadband Internet and Wifi. Furthermore, the large majority of the hotel’s rooms are adjoining rooms and offer a panoramic view over the sea. Le Méridien Beach Plaza hotel offers its clientèle 18 suites, divided into 5 categories (Junior, Design, Executive, Presidential and Penthouse). Light-filled spaces, spacious rooms, a king-size bed, an Italian shower or large bathtub - each suite is an invitation to live the dream. Featuring a terrace or a fully equipped balcony (deck chairs, chairs, coffee table), they offer a moment of pure relaxation and unobstructed views over Monaco and the Mediterranean. The hotel has three restaurants ((Muse - L’Intempo – In By Intempo) and two bars (the Longitude 7°26’ and The Alang Bar). Five highly contrasting atmospheres that are arranged to flow harmoniously between the interior and the exterior. The use of light and space creates the perfect atmosphere for an authentic culinary journey, which can be adapted to suit a business lunch, a Sunday brunch or an intimate evening meal. During the summer, the Muse restaurant, situated beneath shady pines and facing the sea, and the Alang bar, located right on the beach, like to surprise their clientèle with unusual culinary experiences, such as organic menu suggestions or barbecues.their clientèle with unusual culinary experiences, such as organic menu suggestions or barbecues. If you are looking to meet together and exchange and share ideas, Le Méridien Beach Plaza offers the Sea Club, a completely renovated conference centre adjoining the hotel - the only one of its type - with 3,000 m2 of dedicated reception space, spread across a selection of 14 modular meeting rooms that can accommodate up to 2,000 people. Depending on the requirements and the nature of the event, the terraces, swimming pool and beach can also be set up to provide an open-air space, ideal for a cocktail party, a buffet, a banquet or a wedding. Having been completely renovated, the fitness centre at Le Méridien Beach Plaza extends over two floors. Open every day from 6:30 to 22:30, it can be accessed by subscribing members and hotel clients holding a day-pass. The fitness centre offers numerous sporting activities to build muscle and re-tone the body. All week, twice a day, aquagym courses, abdominal and stretching sessions are led by professionals. Or perhaps you prefer exercising in the fitness suite – equipped with Technogym equipment– or some gentle sporting activity, in the bar or pilates classes offered once a week. This bright room is furnished in a contemporary style. 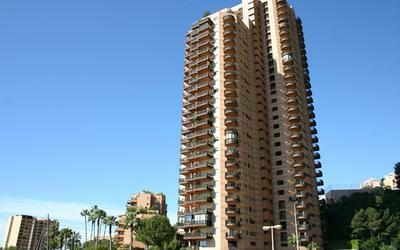 It has a balcony overlooking the famous Princess Grace Avenue. 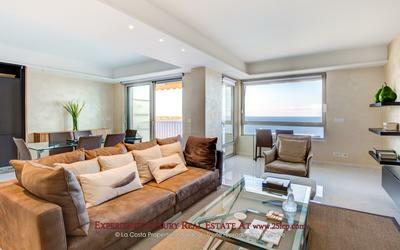 This contemporary room has a furnished balcony and side view of the Mediterranean Sea. Smoking is allowed on the balcony only. With a panoramic view of Monaco, the sea and the resort, this modern room features a private bathroom with a massage shower. This room is located on the top floor of the hotel, with a view of the city and the Mediterranean Sea. It has a furnished balcony. This suite is located on the top floor of the hotel, facing the Mediterranean Sea. It has a spacious, private, furnished balcony. The private bathroom has a walk-in shower and separate bathtub. A sea view from the balcony is offered in this spacious, air-conditioned room. It has a seating area and an LCD TV, and the bathrooms include bathrobes. To access the Hotel Meridien Beach Plaza you must reach the seaside. 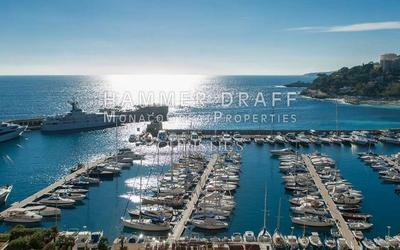 The hotel is located just after the Grimaldi Forum and Monaco’s beaches. 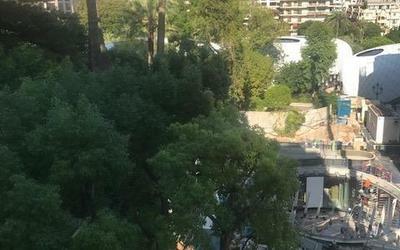 - From the Port Hercule, pass the Fairmont tunnel and take avenue Princesse Grace. - From Italy, at the intersection of Saint Roman, take the direction of the Country Club to reach the waterfront turn right towards the beach. - From the Exotic Garden, continue straight through the Boulevard Princesse Charlotte, go to the Place du Casino, down the avenue of Spélugues then turn left to the Grimaldi Forum. In case of arrival from Nice Airport by helicopter tranfer you can get the free shuttle bus, a taxi or book a limousine. The position of the Meridien Hotel by the sea gives you quick access to: - beaches - Jimmy'z - Grimaldi Forum - National Museum , Villa Sauber - Restaurants and bars of Boulevard Princesse Grace.